What Does Life Offer To Us? The existence of each and every one of us has got some essence or the other to be very honest. Life is not the same for everyone. It all depends on the outlook of every person and their prospective towards all the little things. Well, the concept of true happiness is much broader than you would supposedly think. Life offers us with choices, the choices that decide our extent of happiness. We live in a world that is much more complex than it appears to be. So it really becomes difficult on the part of everyone to really seek happiness. But if you dig a little deep, you find that it is a mere choice of our own. Life is certainly meant to be lived in the way that satisfies all desires and proves our very existence on this planet. What Exactly One Understands From The Extent Of Happiness? 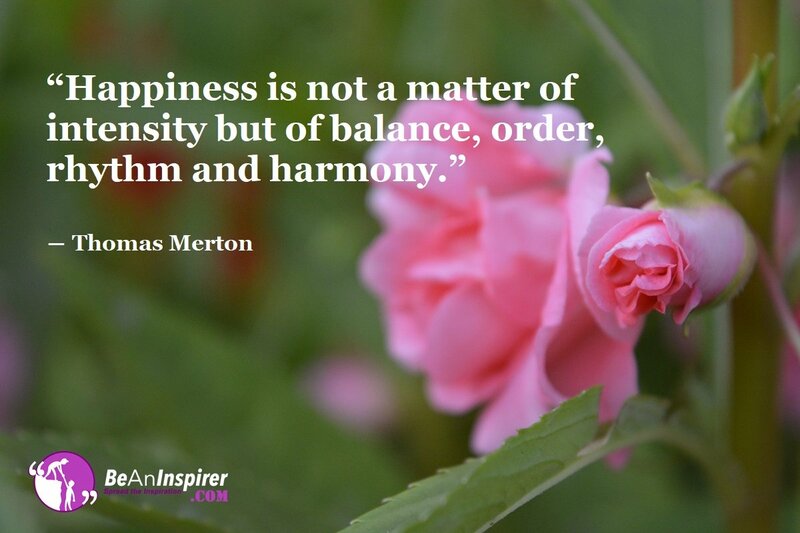 Happiness is a matter of balance and harmony regarding all the happenings all over in our lives. The feeling of living to the fullest and realizing our existence is what is referred to as true happiness. And as already mentioned, it is we who are solely responsible for our very own extent of happiness. Happiness comes from inner-self, not from any outside resources. Realizing our potential, seeking balance and harmony in our deeds and being content in the most little things are the factors that prove to be an asset in order to be happy. If one person intensifies everything he is going through in his life, he might not be successful in achieving true happiness. We must believe in the fact that life offers us tough challenges and shortcomings, real difficult situations but what exactly is needed to be done at that moment is face these with a smile and take the challenge in the tenderest manner. We can conclude that everything that surrounds us and is related to us is in direct dependency on the extent of happiness and measure of self-satisfaction. True happiness courtesy of balance and harmony in everything we do certainly helps in the creation of a positive atmosphere. Each one of us must realize that some days might not go as we wish; we must consider them to be bad days and but as they rightly say, ‘There is always dusk after dawn’. Happiness is truly an experience.